Professor Demos presents "Decolonizing Nature: Contemporary Art and the Politics of Ecology"
HAVC professor and influential art and visual culture historian critic T.J. Demos will be presenting from his new book, Decolonizing Nature: Contemporary Art and the Politics of Ecology on September 28th. While ecology has received little systematic attention within art history, its visibility andsignificance has grown in relation to the threats of climate change and environmentaldestruction. 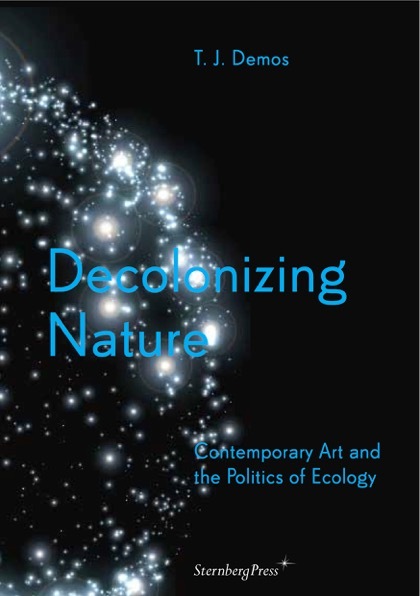 Taking up artists’ aesthetic and political engagement with environmentalconditions in the Global South and North, Decolonizing Nature considers the creative proposals of artists and activists for ways of life that bring together ecological sustainability, climate justice, and radical democracy, at a time when such creative proposals are urgently needed.